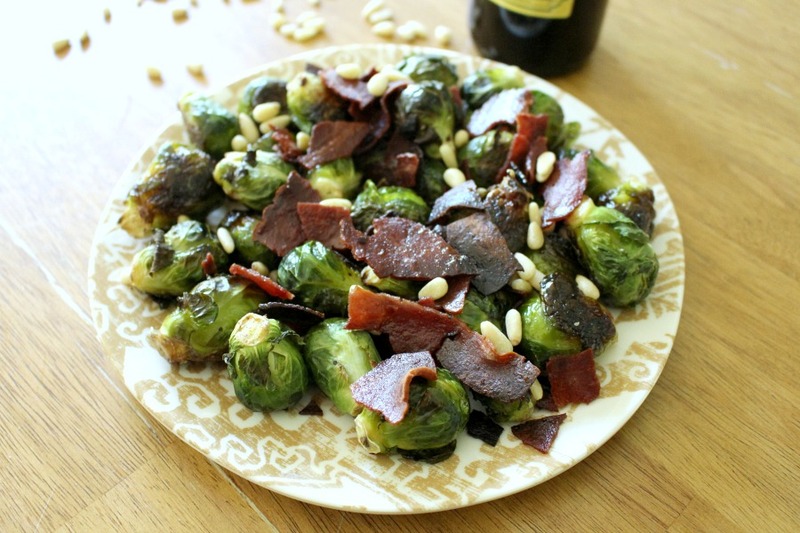 This recipe brings out the sweetness of the Brussels Sprouts. Even the pickiest eater will like this recipe. Enjoy the goodness! My son Josh is a very picky eater so say the least. He wouldn’t try Brussels Sprouts no matter how I prepared them. When I made this recipe the first time, he didn’t realize what vegetable it was that I put out on the table. I think the dark color and the bacon got him curious. I didn’t say a word. He put some on his plate and started eating. He asked what he was eating and when he heard Brussels Sprouts, we all just started laughing. He took a second helping as we all did. Success! Try this easy recipe and watch those picky eaters eat up. Trim stems and cut off any limp leaves of Brussels Sprouts. Blanch in boiling water for about 5 minutes. Drain, place in an ice bath right away or run under very cold water to stop cooking. Drain again. Heat a large non stick pan over medium heat. Add oil with garlic and cook just until you smell the garlic. Just a minute or two. Add the sprouts. Sauté for a few minutes. Add balsamic. Toss around to coat all the sprouts. Add butter, salt and pepper. Toss and stir a few more times. 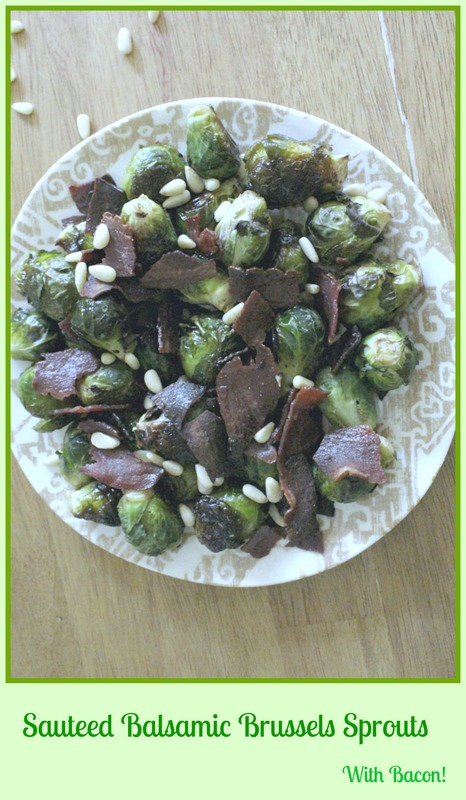 Plate up, break bacon, if using into large pieces, toss on top along with nuts. Enjoy! !